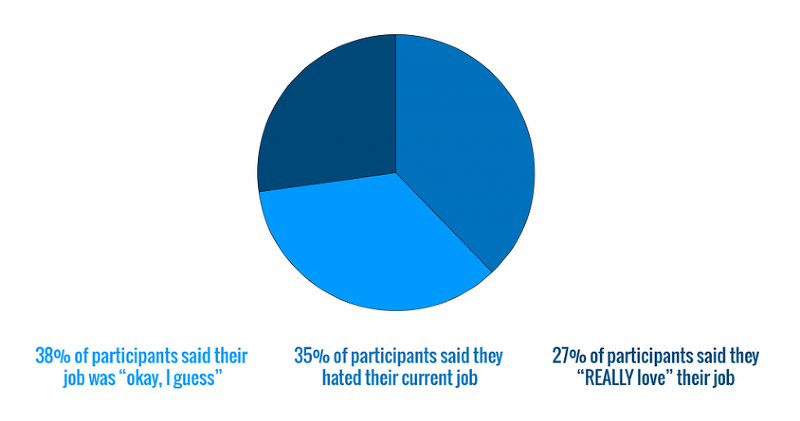 “With 73% of participants not in love with their current position, the reality that the majority of a company’s employees are open to a new job should be a major concern of every executive team today," said CAREEREALISM founder and CEO J.T. O’Donnell. "Is your company prepared to handle unexpected turnover?" "If employees start quitting for better jobs," she continued, "are you ready to mobilize a recruiting strategy to find their replacements? And, how long will it take you to train new hires so they reach the productivity levels of the employees you lost? The message is clear right now: workers are dissatisfied, and that can put any company at risk of being negatively impacted by turnover.” As you can see, it’s important for a company to select job candidates based on who they think will fit into their company culture. Once a company is aware of what makes their company a great place to work, they will look for job candidates that they know match that specific culture; making them more likely to love what they do everyday. If your company is interested in learning how to make your company culture awesome or is seeking resources on the topic, please download this free ebook. To request additional information, please contact: Sarah@workitdaily.com About CAREEREALISM CAREEREALISM, a privately-held career advice and Employment Branding company, was founded in 2009 on the belief that “every job is temporary.” The purpose of the site is to help people solve their career and job search problems. CAREEREALISM connects the top talent with the best companies by telling stories that showcase what makes a company’s culture unique. The company is the leading online destination for career advice and employment branding intelligence.With extensive experience in career counseling at large companies, founder J.T. O’Donnell has created an organic platform built to share experiences, provide feedback, and suggest how companies can reveal their talent brand. For more information please visit www.CAREEREALISM.com.